The new study, which was published in the Journal of Science Translational Medicine, found that broccoli could hold the answer to slowing – and potentially reversing – the disease. The exciting discovery could provide doctors and scientists an alternative cure for the disease that has affected millions of people all over the world. Type-2 diabetes is the most common form of the disease. According to the Centers for Disease Control and Prevention (CDC), it accounts for approximately 90 to 95 percent of all diagnosed cases in adults. There are currently 29.1 million people in the United States who are suffering from the disease. However, there are about 8.1 million who may still be undiagnosed. The disease is on the rise. Based on reports by the International Diabetes Federation, more than 300 million people are living with diabetes. Also, the World Health Organization estimated that 90 percent of the people who have diabetes have type-2. Of all the individuals afflicted with the disease, 15 percent cannot take the first-line therapy, the drug metformin, because of the risks of kidney damage. Those who take metformin have an increased risk of lactic acidosis, which is an unhealthy build-up of lactic acid that can lead to abdominal discomfort, muscle pain, cramping, shallow breathing, and tiredness. Thirty percent of metformin users them develop bloating, nausea, and abdominal pains according to DiabetesSelfManagement.com. Finding an effective alternative is the researchers’ main objective. It’s challenging because research labs have experienced difficulties in finding such options. Traditionally, researchers have only studied single genes or individual proteins. However, they have had to find a new, big-picture approach because diabetes involves a large network of genes. According to LiveScience.com, Annika Axelsson, leader of the study and doctoral student at Gothenburg, and her team analyzed liver tissue from diabetic mice fed with a “Western diet” that had 42 percent fat and 0.15 percent cholesterol. After conducting several tests, the scientists were able to identify 1,720 genes linked to hyperglycemia, a condition wherein an excessive amount of glucose is present in the blood. After further analysis, they narrowed down the number of genes to a network of just 50 linked genes that then became the disease signature for type-2 diabetes. Using a database of existing drug compounds and a mathematical program to identify which compounds have the ability to reverse the disease signature, they determined that sulforaphane, a naturally occurring compound found in vegetables like broccoli, had the highest ranking for turning down over-expressed high glucose genes. More tests were conducted and researchers discovered that for obese patients, a daily dose of sulforaphane, in the form of concentrated broccoli sprout extract, reduced fasting blood glucose by 10 percent. The good news is that the 10 percent reduction is enough to lessen a person’s risk of developing complications. Sulforaphane also didn’t cause side effects that metformin caused. The next step, according to the researchers, is to find out what effects sulforaphane has on individuals with prediabetes. Researchers are hoping sulforaphane can improve glucose control in individuals with prediabetes so that they don’t develop type-2 diabetes. It’s impressive how the cures for debilitating health problems — say, a vegetable inside your fridge — can be easy to find. 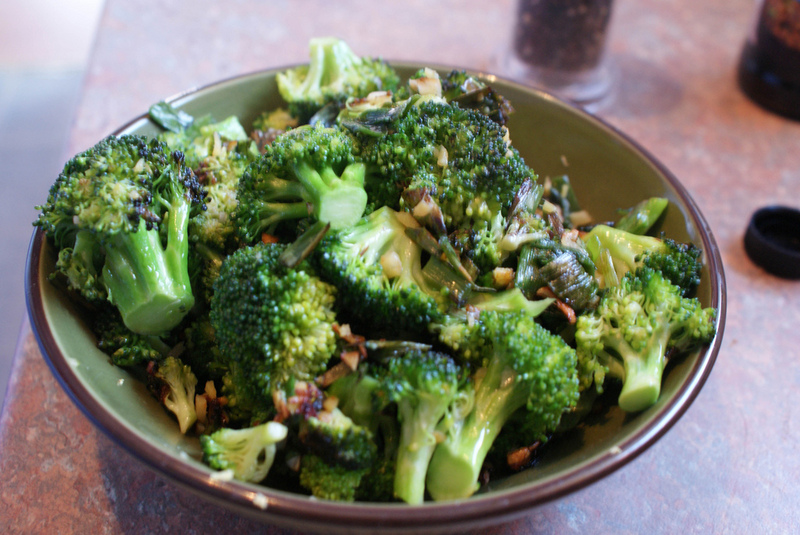 This should give you more reasons to stock up on broccoli and other similar vegetables.